Translated from Hebrew by Dena Shunra. In my childhood, “American Jews” meant packages: Every couple of months I would go to the post office off Tel Aviv’s Dizengoff Square to pick up the parcel with U.S. stamps on it. My mother’s best friend would send us the used clothes her son had outgrown, so I was one of the first children in Tel Aviv to wear blue jeans and checkered flannel shirts. Every few years they would come to Israel, and we’d visit them at the Tel Aviv Hilton. It was my first contact with wealth and prestige. We knew that they had gotten very rich in the steel business. We thought all American Jews were rich. In high school civics class we held a debate: Whom could we more easily identify with, a Druze soldier from Daliyat al-Karmel who served in the Israeli army, or an ultra-Orthodox Jew from Brooklyn? Many chose the Druze man: He spoke our language and lived in our country, the students reasoned. Then, at 17, came a sponsored trip to a B’nai B’rith summer camp in Starlight, Pennsylvania. We fell in love, we sang “House of the Rising Sun” with a guitar by the lake. We were guests at the homes of American Jews in Bethesda, Maryland, in Philadelphia, and in Scarsdale, New York. It was three years after the miracle of the Six-Day War, and it felt as though Israel was admired everywhere, especially in the American Jewish community. The roles, as I understood them as a child, were clear: They would make a lot of money and donate part of it to Israel; we would go to war and provide them with a shelter if things in America took a wrong turn. And we in Israel also believed that we were a source of pride for American Jews. But over the years these axioms have crumbled. Israel is no longer the safest place in the world for Jews, and many people around the world, including a minority inside Israel, no longer see it as a source of pride. Meanwhile, Israel is financially secure and no longer needs alms from abroad. Few Jews make aliyah, or immigrate, anymore, and Israel no longer needs the immigration as much as it used to. These changes have brought about a deep shift in the relationship between the two largest Jewish communities in the world. And both sides, at this point, desperately need to adjust to the new realities. The automatic, unquestioning support of Israel by the old establishment of American Jews has hurt both sides, and implicated the Jewish world in each one of Israel’s less defensible actions: each child shot and killed in Gaza, every detainee spending years without charges or trial in Israeli jails. And the law recently passed in the Israeli parliament, affirming that Israel is the nation-state of the Jewish people, works in some ways to strengthen this associative bond—a bond that provides cover for the Israeli state’s questionable actions while exposing American Jews, and Jews around the world, to outbursts of anti-Semitism based on complaints about Israeli policy. These complaints can be legitimate, or they can be bigoted, but the fact remains that, as an empirical matter, there is no greater or more effective catalyst for anti-Semitism today than the crimes of Israel’s occupation. The United States is the country that enables the occupation to continue, and without whose support Israel would be vastly more tentative in its actions both foreign and domestic, and might therefore be a more just state today, and perhaps even a safer one. In recent years, large swaths of American Jewry have become disappointed with Israel, although often for reasons tangential at best to the fundamental problem: the treatment of the Reform and Conservative communities, for example, or the Kotel compromise establishing prayer rights in the gender-segregated spaces of Jerusalem’s Western Wall, Prime Minister Benjamin Netanyahu’s various controversial policies, and recently the Nation-State law. Meanwhile, functional apartheid has existed in the occupied territories for quite some time; and as the Green Line marking the 1949 ceasefire grows ever blurrier and the occupation becomes a permanent thing that no one seriously intends to end, it is no longer possible to differentiate between Israel and the occupied territories. 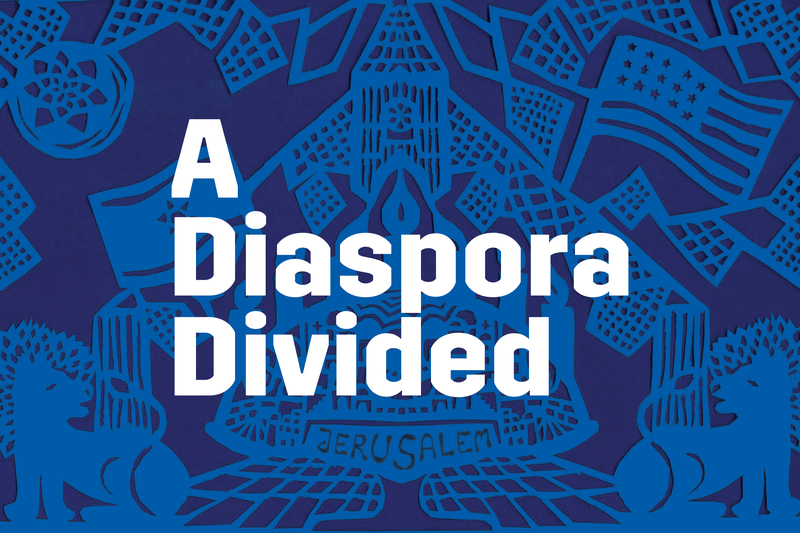 At some point, American Jews as well as Israelis will need to confront the fact that, under these conditions, Israel can no longer be considered a democracy by any measure. With almost three million Palestinians under Israeli control in the West Bank and almost two million more in Gaza who have lived under an inhumane siege for some twelve years, we can no longer speak of “the only democracy in the Middle East.” The occupied territories are no longer Israel’s backyard, but an inalienable part of the state itself, a true window into it. There is no democracy when millions of subjects have no rights. Amidst this urgent moral crisis, only a few of our liberal Jewish brethren in America, some of whose parents marched shoulder-to-shoulder for human rights and equality with Martin Luther King Jr., have raised their voices in clear, incisive criticism. The rest prefer to disengage. Israel needs these voices. Life in Israel is too good and the brainwashing—particularly the demonization and dehumanization of Palestinians in Israeli media—is uniquely effective. In one poll in May, 83 percent of respondents “strongly support[ed]” firing on peaceful Gazan protesters. While some Israelis disagree strongly with their government’s policies, change at this point most likely must come from outside. And who can make a greater change than the Jews of the United States, who influence the policy of the U.S. administration? Israelis like me are waiting for the moment that more Jews in America will bravely, loudly, and clearly tell their dear sister: “Something has gone fundamentally wrong with you. You cannot go on like this. You are becoming an apartheid state, which will make you a pariah state. We want no part in that Israel.” Those Israelis who dissent want American Jews to stop sending tens of thousands of youngsters on Birthright trips, where they are shown only Israel’s enlightened, propaganda facets. We don’t want the embarrassing, grotesque donation conferences for the wealthy Israeli army, which already has everything it could possibly want. We don’t want ceremonies to plant trees that no one needs, and we don’t want donations for synagogues. We don’t need packages with used blue jeans and flannel shirts. We’ve got our own. What we need is something else entirely. Speak up with the clear voice of conscience about what has really happened to Israel. Speak up against the ongoing crime of the brutal occupation of another nation in the 21st century. Acknowledge that the occupation as currently administered is there to stay. Recognize that there are two nations living in the area known as the land of Israel and as Palestine, nations about equal in size, which should be equal in all rights. Acknowledge that right now, only members of one nation enjoy basic rights, while members of the other lack any. That will be the most honest expression of concern and the truest expression of friendship. Challenging, instead of either enabling or disengaging from, a wayward friend is the path toward change.